Working sm@rt with OneNote training is a learning solution focused on sustained behavioral change, enhancing information management and collaborative communication. Priority Management is leading the way in developing training that integrates international best practice self-management strategies and the technology to support it. The key to success lies in the ability for teams to work together without the constraint of being together. Whether the challenge is virtual teams where geography is an issue or just the reality that team schedules do not line up to allow us to meet, we must be able to overcome the constraint. Now it is possible to collaborate in a way that maximizes flexibility and minimizes the places you need to look to find key information or data. Find everything you need for a specific project or subject in using your OneNote book, not your paper notebook. This training is a great addition to Working Sm@rt with Outlook time management training when the amount of information you need to manage is substantial. You will learn to create tasks from OneNote that will populate on your To-Do Bar in Outlook without having to switch applications. Public workshops in Toronto are available and this course can be delivered onsite at your office or online. Students should be comfortable in the Windows environment and be able to use Windows to manage information on their computers. Specifically, they should be able to launch and close programs; navigate to information stored on the computer; and manage files and folders. You will create, edit, organize, and enhance notes and also integrate them with other applications using Microsoft OneNote. Learn how to create tasks that will populate in Outlook. Understand today’s information management issues that affect your performance at work. Decide which aspects of information management you want to improve. Understand the basic concepts of OneNote. Understand the structure of OneNote notebooks. Know how to create, save, share, open and close a notebook. Use a Notebook to support a project. Inserting notes in sections and pages. Create and use templates to facilitate your individual and team note-taking. Inserting different types of information. Use OneNote in a docked session to easily link information from an application or from the web. Work as a team in a shared notebook. Manage different editions of a notebook. Link two pieces of information. Retrieve your information using links and tags. Use OneNote to support your daily activities in Outlook. 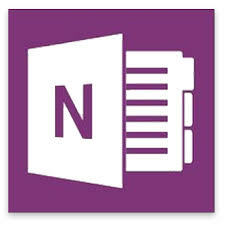 To view the dates of our OneNote courses, please click here to view the product in our shopping cart.